Located just three miles south of the Dunlawton Bridge, the Sandcastle South in Ponce Inlet offers the private oceanfront lifestyle you’ve been looking for and at an affordable price. This excellent condo option is great as a vacation destination or rental property when you aren’t there to enjoy it. With its prime location along a car-free section of the beach, you can enjoy all the fun in the sun that your backyard offers. 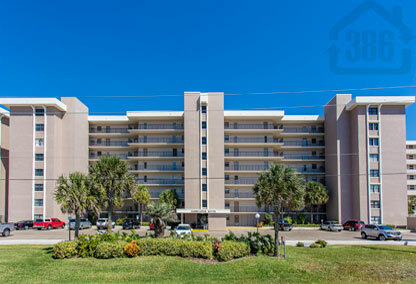 Call us today to explore available condos in Sandcastle South or an any other beachside condo in the Daytona Beach area. Take a look at the Sandcastle floor plans.